Without our heritage we are nobody. Three generations of architecture sitting side by side are to make way for units along Rockdale’s busy Bay Street leading down to historic Botany Bay. A simple 1800s workers’ cottage, a free standing Victorian villa complete with original slate roof, and a brown brick Federation have been vacated and await demolition surrounded by a fence of doom, in an area that has the highest expansion rate for unit building currently in the state. A DA to turn the site into 19 strata units was lodged in December 2013 by applicants J & M Faddoul Pty Ltd, at a building cost of $3,275,000. Rockdale Council seems to find no heritage value in these items that have stood for more than a hundred years and overlooked the constant march of progress stemming up from Botany Bay and down from the town centres where Thomas Saywell’s famous steam tram once traversed. Instead more and more units have now become the order of the day. Even a now rare workers’ cottage can’t stand in the way, nor a stunning double storey Victorian villa with many ornate original features, reminiscent of the recently lost Griffith House on the grounds of nearby St George hospital. It seems an unnecessary shame that buildings like this are allowed to be felled continuously in this so-called enlightened age, in fact the rate of heritage loss seems to be increasing as large swathes of Sydney are rezoned for unit development, a trend which will no doubt spell the end for many similar buildings especially in areas such as Rockdale, where councils simply don’t have a clue as to their duty of guardianship, choosing rather to tow the Liberal state government line of urban renewal at all costs. 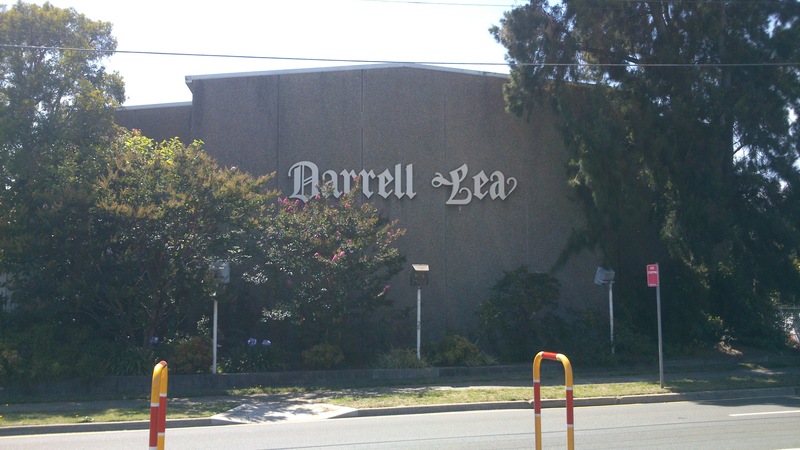 Rockdale Council is currently assessing another potential overdevelopment on the nearby Darrell Lea site on Rocky Point Road. The chocolate factory is to make way for between 350 and 600 dwellings, rising over the 3.3 hectare site in towers up to 12 stories high, within a LEP that currently allows four. In order to accommodate this scale of development, the land would have to be rezoned to R4 high density residential, a move which Rockdale Fifth Ward Ratepayers Association disagrees with, citing privacy, traffic congestion, and lack of amenities (there is no rail station nearby). However Rockdale Council has already adopted a motion to support the planning proposal, meaning residents may just be left as innocent bystanders in the process. Long live democracy in Australia… At least the developers have theirs. All images by Inheritance. Click on gallery below for slide show. East West elevation of 93-97 Bay St Rockdale. North South elevation of 93-97 Bay St Rockdale. Photo render of the development, 93-97 Bay St Rockdale. All images Inheritance. Click on image for slide show. This real estate sign says it all. Poor old Craigieburn, nestled between development sites. This may be the only heritage left in Rockdale after the current building frenzy. Residents of the St George area are certainly feeling ‘growing pains’ of late. It seems each time you turn around you see another block of units going up. If you are lucky you may be able to catch a glimpse of the builder’s fence of doom surrounding a heritage cottage before it is swiftly disassembled, smashed up and torn down. In its place inevitably rises something far bigger and of greater scale and bulk, sometimes ludicrously so, to the extent that neighbours’ views are extensively impeded, solar access is significantly reduced and general streetscape ambience is destroyed. Nowadays it is not strange in the St George area to see a small cottage sitting side by side with a newly completed six storey block of units. As I’ve said before it is no longer a case of the development fitting in with the street, it is now becoming a case of the street fitting the development. Residents’ concerns are being totally ignored at both council and state government levels. 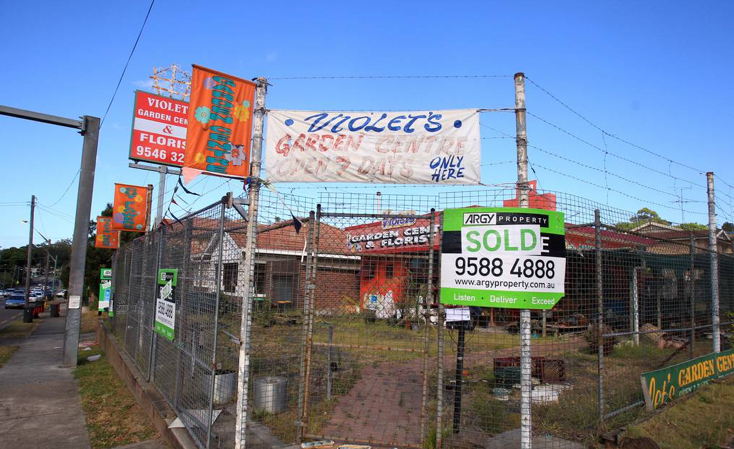 It seems that growth of the building industry is the ultimate goal at any cost, and the St George area appears to be an epicentre of overdevelopment at the moment, just as the formerly leafy suburbs of Kuring-gai have become over the past few years. 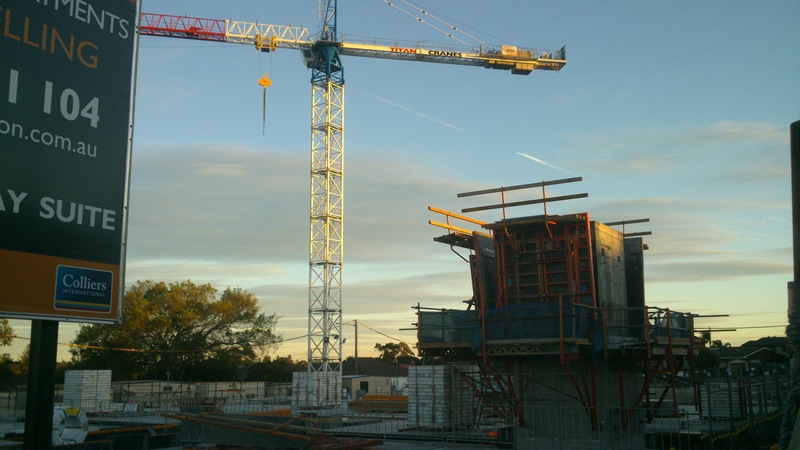 If you want to see the impacts of unrealistic population growth and what happens when the building industry is slated as the next economic windfall after mining, come and have a look at some of these areas. A walk around Hurstville or along the Princes Highway Rockdale will put you in no doubt as to where the future of this city is headed. Recently a number of Development Applications and approvals have raised alarm bells for groups of surrounding residents who try to cling bravely to some semblance of what their suburbs represent, of the lifestyles and the atmosphere they have invested into over many years, often an entire lifetime. They have made the choice to live here for certain reasons, under certain conditions, and that inevitably comes down to quality of life, being part of a community, living in suburbs that aren’t dominated by highrise but instead offer a variety of building styles; free standing homes with gardens, trees and open space, respect for heritage. This is all being stripped from many suburbs of St George at breakneck speed. And unfortunately many unit developments are based around financial targets that mean fitting as many individual dwellings onto the land parcel as possible, which is in direct conflict to preserving open, low rise, garden suburbs and healthy community lifestyles. In Kogarah recently a DA was lodged to redevelop a freestanding building at 44 Montgomery St with a total of 31 units, half being studio sized, on a site with a frontage of only 12.19m. Despite not complying with council minimum standards for site width, floorspace ratio, height, setback and carparking, the DA was somehow approved by council. The nine storey building will be shoehorned onto a site so tiny and with such limited vehicular access that a car lift will need to be installed to get cars in and out of the pokey basement. The owner claims that such lifts are commonplace in Europe – maybe in the centre of Paris, yes, but in the backstreets of suburban Kogarah, really? The local Chamber of Commerce has made strong complaints to council, who clearly are out of touch with their constituents. This comes at a time when peak train services are being culled from the bustling railway station of Kogarah – that’s right, not increased, culled. 44 Montgomery St, One freestanding dental surgery to become NINE storeys. The dentist-developer now has a healthy grin. Image Fairfax. New plans for the old nursery site. Six storeys here is like development on Dynamic Lifter. Image Fairfax. The famous Darryll Lea chocolate site. The Lea family will win a sweet windfall from real estate values after failing dismally as bonafide business operators. Nearby at Ramsgate Beach another plot, a former caravan park on the Grand Parade known as the Grand Pines and famous for offering caravan and cabin holiday rentals on the shores of Botany Bay within site of the city, is being turned into a 51 dwelling townhouse complex. Quite a tight fit for a narrow site in quiet suburbia, and like the others, nowhere near railway transport. Another site nearby at 183-189 Rocky Point Rd. 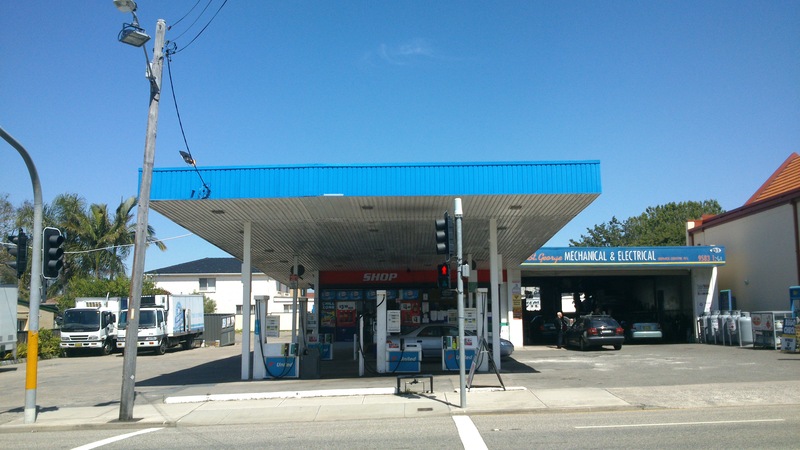 intends taking over a petrol station and three heritage shopfronts, bulldozing and remodelling with 65 residential units, much to the despair of surrounding neighbours who will have to look over their back fence at a concrete wall six storeys in height. The DA started life as a 41 apartment complex five storeys high with retail component, but the local Ramsgate DCP allows only four storeys. 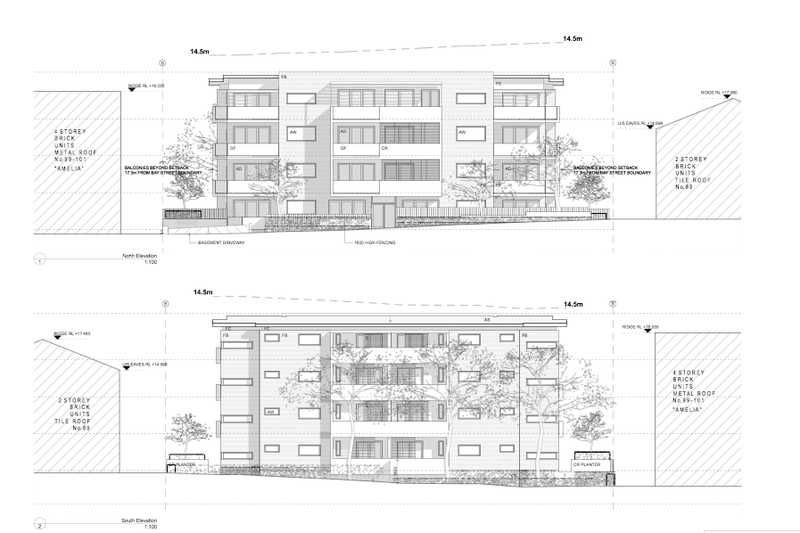 Interesting that what is proposed now is a six storey monolith comprising 65 units, many of small scale with no cross-ventilation, eight commercial tenancies and basement parking. 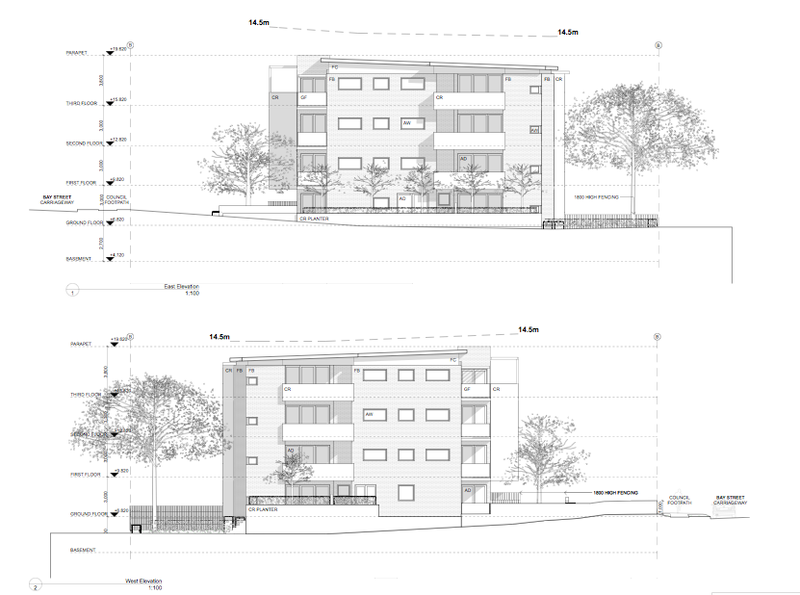 ‘Six does go into four’… This site is set to become six storeys, under a local DCP that allows only four. You do the math. Kogarah Council can’t. Ramsgate’s ‘Rocky Road’… service stations are making way for extreme development. Directly opposite, these will be the replacements… bulky, square, obtrusive, frightfully ugly money makers… Note the driveway access cutting straight through the footpath. By comparison, the southern side of Ramsgate maintains buildings of a more suitable scale and character. But this scenario is mirrored all along Rocky Point Road, such as the 18.85 metre tall block at 124-144 Rocky Point Rd known as the Jameson. This site has been under construction for several years already and has been constantly evolving even as it is being built. Just recently the developer lobbied to apply for extra single bedroom units to bring the total from 70 to 77. 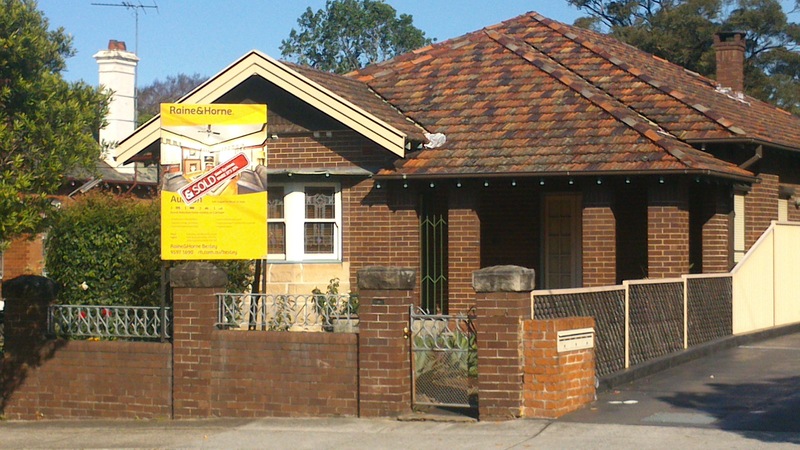 The alterations were passed by Rockdale Council officers without the councillors being involved. In actual fact it is surrounded by single storey homes and the odd two storey shop, nothing on the scale that we are seeing come up here. The nearest railway transport is literally miles away and bus services in the area are already overstretched. Traffic is gridlocked at certain times of the day and about to get much worse on this main north-south artery. The Jameson. A monolith rising above a quiet suburban landscape. I haven’t even mentioned some of the really massive developments going up around Rockdale, Hurstville (such as the former Dominelli Ford caryard known as Highpoint with 320 units proposed for completion 2015-16), Kogarah (such as the former Kogarah Mecca theatre site known as Grand Central comprising 92 units due for completion next year). And then there is the former Amcor Packaging site on Forest Road Hurstville now known as East Quarter, a series of massive towers taking over the landscape. All of these projects are selling off the plan, many to offshore investors in China keen to park their money somewhere ‘safe’ like Australia. Their gain may be to our childrens’ detriment, but who in power is really concerned about that…? Hurstville Councillors Jack Jacovou and Nancy Lui spruiking the benefits of highrise at the East Quarter, gleaming with pride. Click for Leader story. Image Fairfax Media. New precedents are being set, and quiet, suburban streetscapes are being radically transformed all over the area. Perhaps this is a sign of things to come under the Premier’s new planning reforms being passed through the NSW Upper House now, perhaps it is a sign of developer-biased decisions made in councils that turn healthy profits and show total disregard for community values, perhaps it is just the fate of a city that has chosen to grow at such a rate that it has forsaken its own residents in favour of accommodating many more new arrivals, at levels that simply are not desirable nor sustainable at any measure of the imagination. Like a wild west gold rush these forces are being played out to the detriment of all around, and like a wild west gold rush some will get rich very quickly, but the effects of the methods and the physical scars will be felt on the surrounding environment for many years to come, and probably never will be fully reconciled. Following gallery all images by Inheritance. Please click on the image for a slide show. Please read the captions as they describe even more obtrusive development in the area. Title image at top of page is new development on Princes Highway, Kogarah. Image by Inheritance. 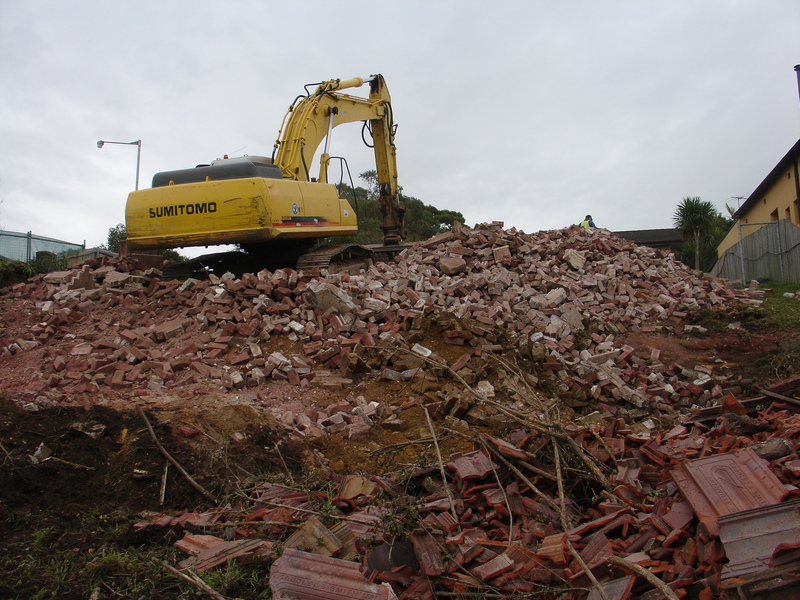 Princes Highway, Federation cottages laid waste. 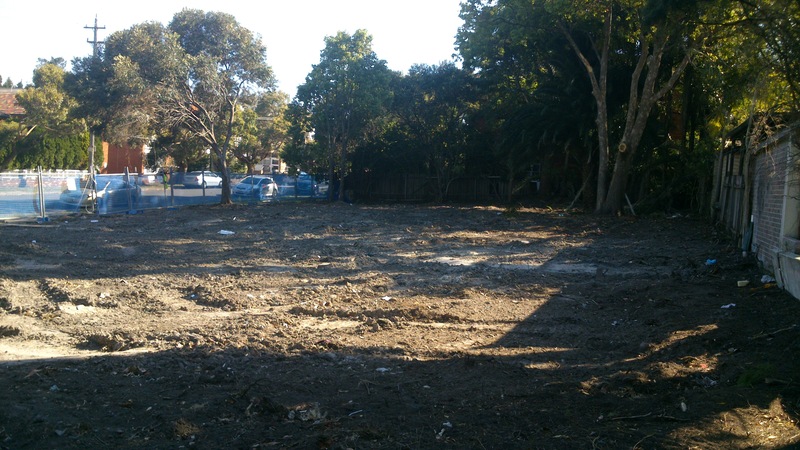 Princes Highway, the outlook is rapidly changing. Service station Princes Highway Kogarah, prime development site. Another former servo, Princes Hwy Rockdale. 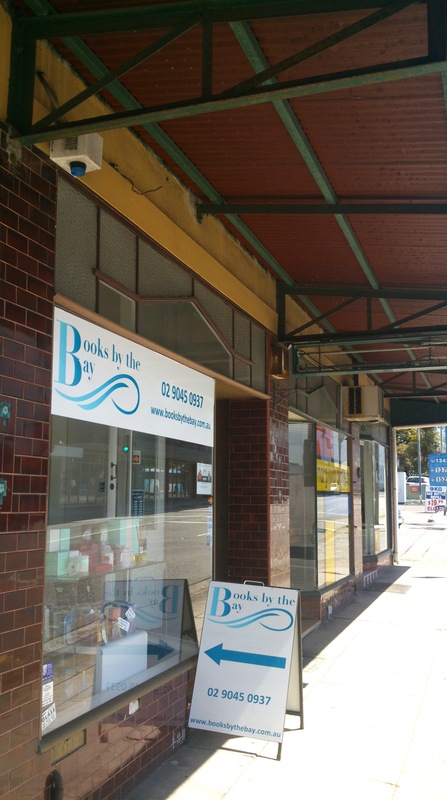 Corner block Princes Hwy Kogarah, very close to hospital new ED entry. Will over-congestion here pose risks to ambulance arrivals? Cottages now gone, opposite St George Hospital new ED. The area’s heritage trashed. Directly opposite new ED St George Hospital Kogarah, units going up. Good luck to ambulances getting past the over-congestion. Ramsgate Rd Ramsgate Beach, houses to be redeveloped to six storeys after a planning blunder allowed excessive rezoning. Ramsgate Rd Ramsgate Beach, houses to be redeveloped to six storeys, after a planning blunder allowed excessive rezoning. Rocky Point Rd. Ramsgate. This time they decided to build around the service station. New unit block going up in Hurstville, famous ‘Small Car Shoppe’ est. 1974 now gone. 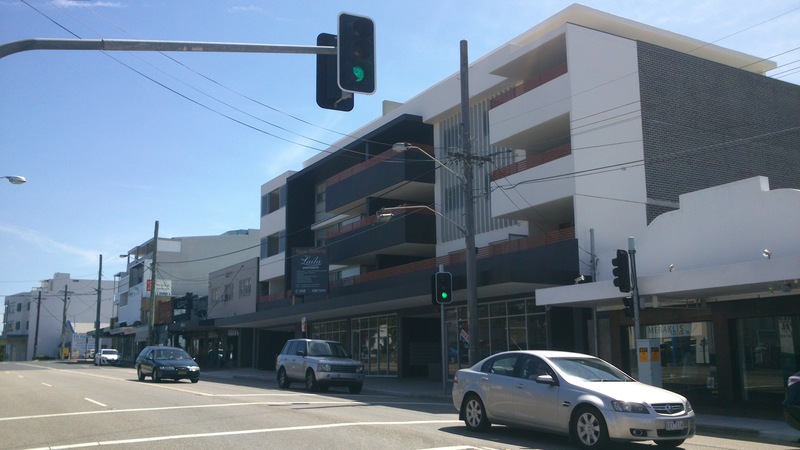 Hurstville Citizens’ Centre replaced by Royal Plaza highrise. 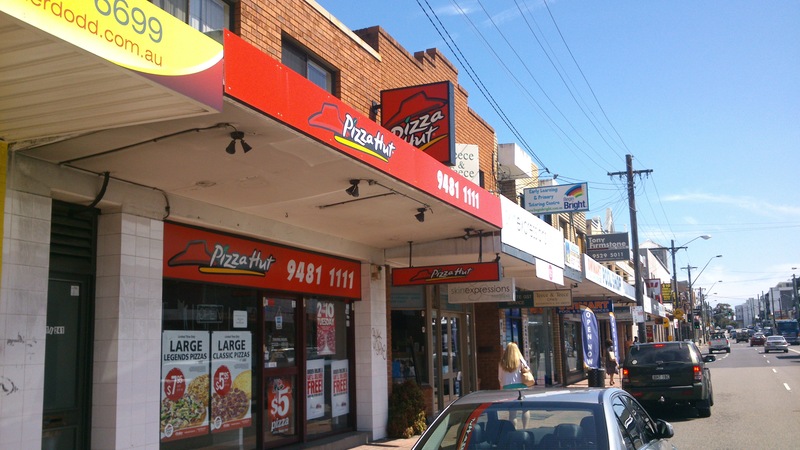 These buildings to be replaced with highrise, to feed Hurstville’s growing appetite. Croydon Rd. Bexley, another development site. Development site encompassing three single blocks in the back streets of Bexley. Brighton-Le-Sands. The Novotel building has been there for years but Bay Street is rapidly becoming highrise central. But wait, there’s more! Please find the time to watch these disturbing ACA videos. This describes some of the frightful planning decisions being enacted on Rocky Point Road, and is what can now happen to anyone if they just happen to find their home next door. Click on both images below, thank you. On Sunday October 6 the classic Federation style St George Bowling Club on Harrow Road Bexley was burned down by vandals. Nearby residents awoke to see flames gutting the heritage listed building around 1.45am. Three people, aged 19, 15, and 14 were arrested at the scene, but the 14 year old was subsequently released on a youth caution. A fourth man, 18, has also been charged with the arson attack. 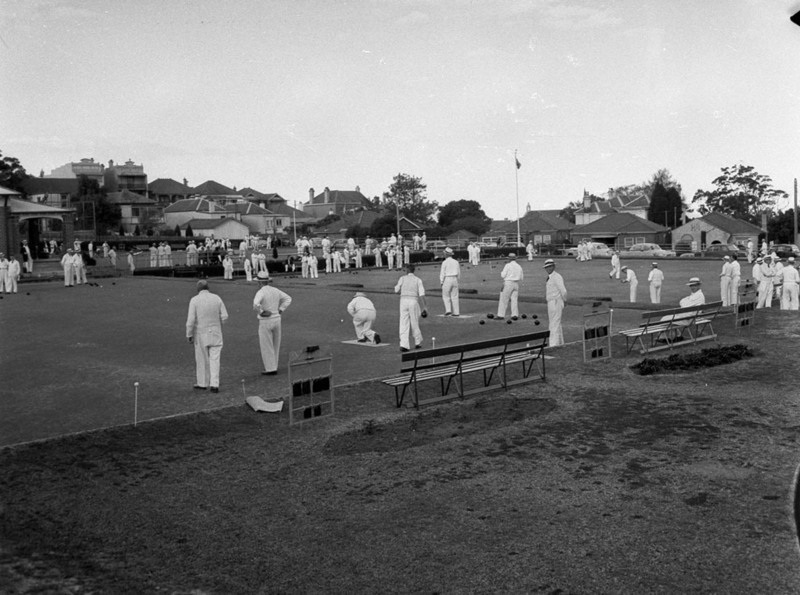 The bowling club, founded in 1900 and relocated in 1919 due to railway expansion, had remained uninhabited and its greens overgrown for several years. At a time when bowling clubs are struggling to maintain membership, many are folding or seeking other options such as amalgamation. Two clubs in the St George/Sutherland region have sought amalgamation in the last year alone, while another, Mortdale Bowling Club, was closed and demolished last year. 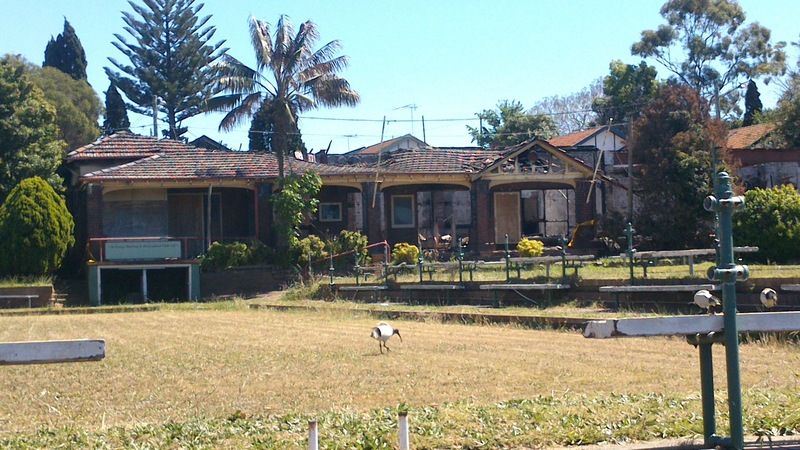 Others are left derelict such as the St George Bowling Club, and can easily become a target for vandals and arsonists. It is upsetting to see any building lost to deliberate arson attack, but to see a beautiful and rare Federation example of a bowling club such as this go up in flames is devastating. 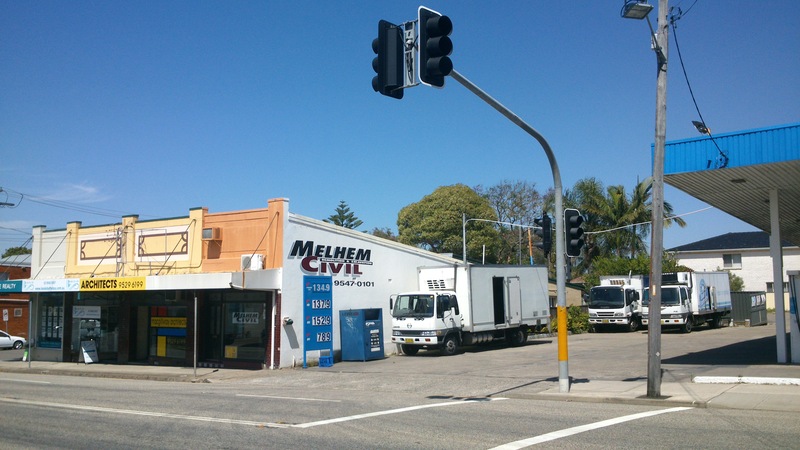 As a result the area has lost one of its landmark buildings and heritage treasures. After the fire, walls and structure still appear sound. Inheritance has requested the clubhouse be rebuilt. Bowling clubs are true community assets – they retain open space for recreational activity, and foster vital social gathering among residents. Not only that, they hark back to an Australian way of life quickly disappearing before our very eyes, and are often, as in this instance, architectural gems that warrant retention. Occupying large swathes of open real estate, they are also targeted by dozer-happy developers for ever-increasing medium density residential supply. It is our opinion that the site of the St George Bowling Club should remain a public asset, and if not suitable as a bowling and recreational club, should be re-purposed for child care facilities or something similar. The fabric of the heritage clubhouse appears to have escaped the brunt of the fire, despite the interiors being gutted and the roof structure showing extensive signs of collapse. Being a double brick structure, the clubhouse could be re-built in the original style and used once again as a communal facility. For it to be redeveloped as residential units would be a travesty for the community and send a very clear message to developers that they can get their right of way over publicly owned sites once a heritage building is vandalised or partially destroyed by fire. Considering the state of the building, Inheritance has formally requested Mayor Shane O’Brien and Rockdale Council to rebuild the clubhouse as a heritage item for adaptive re-use as a club or childcare facility. At this stage we are awaiting response. We also believe the state government should be adopting a strategic plan for the future of lawn bowling clubs if and when they should reach the end of their useful life as a club. This should be a statewide policy that prohibits private development on bowling club lands, instead preserving the community assets for what they were originally intended, public open space and/or public amenity. Anything less is a sell-out. 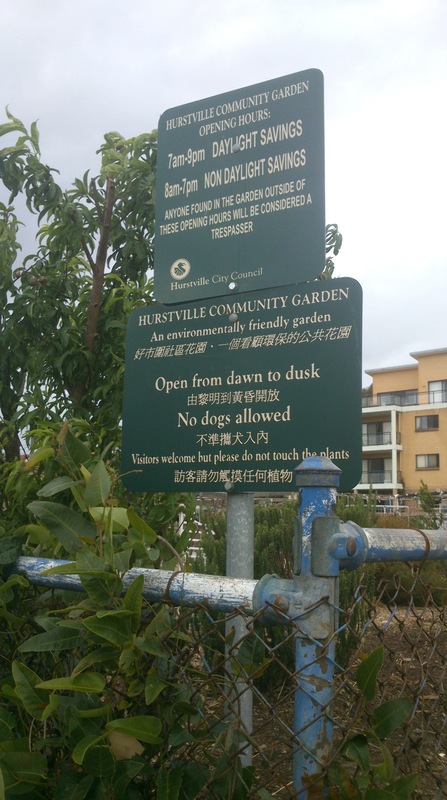 A nearby club at Hurstville was partially converted into a communal vegetable patch a few years ago, and a highly successful one at that. 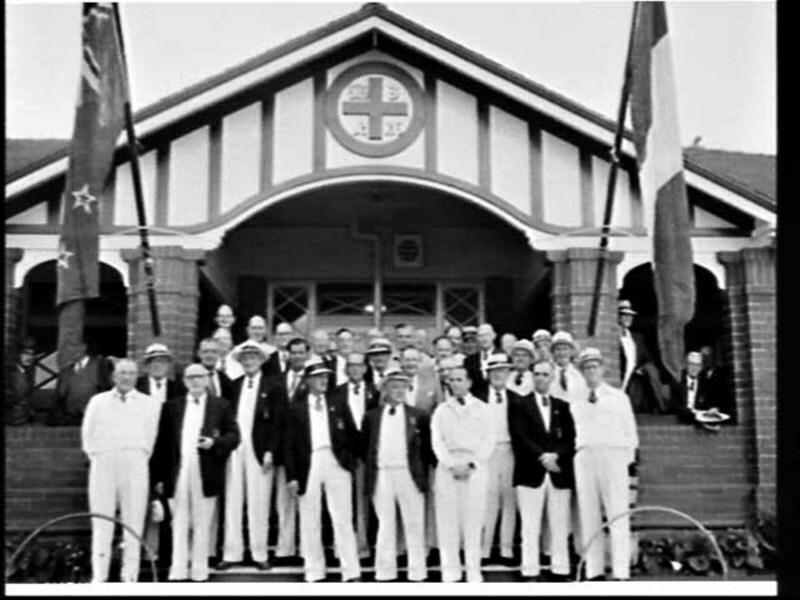 Many former clubs have been re-purposed as child care or elderly care facilities, many more have been sold out to private development, a point that may resonate with members of the 50-strong Sutherland Croquet Club who have practiced their game on the lawns next to Waratah Park, Sutherland for over thirty years, and have now been told that the grounds are being redeveloped for highrise of more than 500 units. See that sad story here. The value of a simple bowling club cannot be overstated, as a place to get together, as a place to meet and greet, to share a laugh, a story, or a beer. A place for our elderly to congregate and play their sport, out in the open, in the fresh air, and live a more helathy lifestyle at a time when our medical professionals are trumpeting the virtues of activity and well-being… When or if population dynamics and financial pressures dictate that a club is no longer viable as a bowling club, then it should be re-purposed, to suit the next trending requirement. But it should always remain a public facility, with open space, community, and heritage in tact. More than anything it is public asset. And let’s not forget, once an asset like this is lost, it is lost for good. This is what occupies the former club at Hurstville. 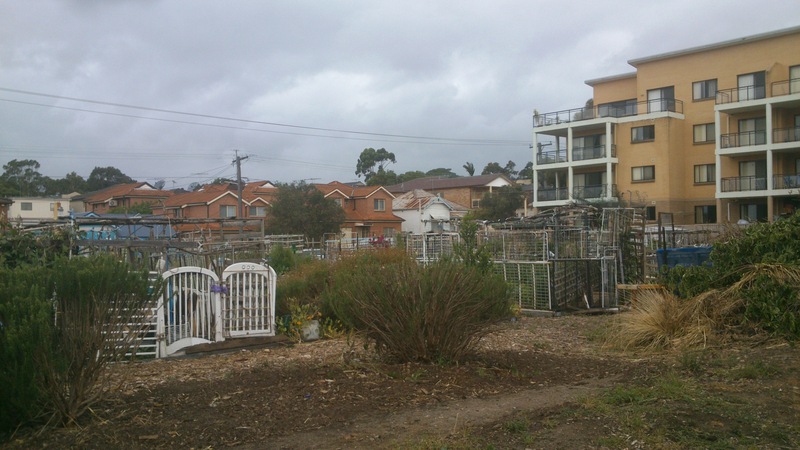 Former club grounds at Hurstville, now a thriving vege patch. Title image: still from video by Storm Pickett. 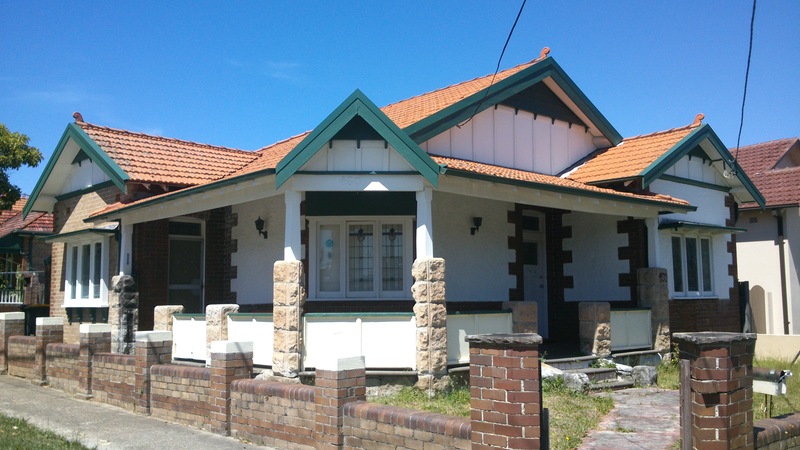 This post relates to a previous one regarding a Federation house that was for sale at 26 Dunmore Street Nth Bexley, for more details read here. 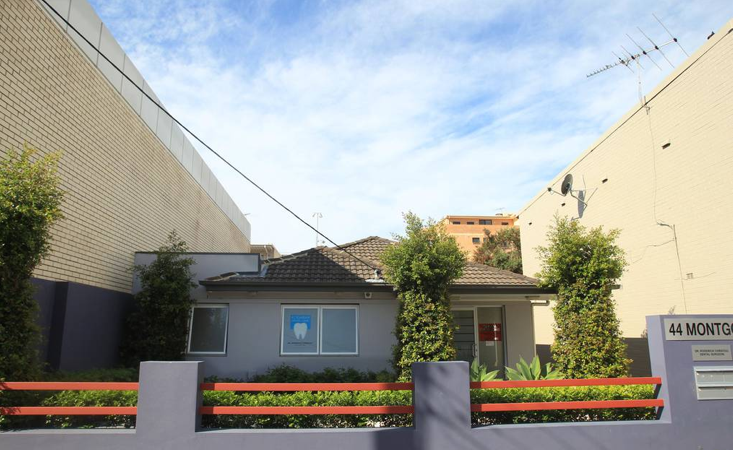 As I feared at the time, the property was eyed off by developers in the hotly contested southern suburb of Bexley, and snapped up at auction for the princely sum of $1,446,000. As it turns out this was land value only, as soon afterwards the “fence of doom” went up and neighbours got their final glimpse of this beautiful Federation diamond in the rough that could have been saved, should have been saved, but was instead briskly turned to rubble. The owner has advised council he will be subdividing the property and building three modern dwellings on the site at a proposed cost of $850,000 plus $10,000 demolition. Residents in the historic street are now banding together to try and stop inappropriate development taking shape on this block, hoping the new buildings will be more sympathetic to the current streetscape they value so dearly. As I reported in my previous post another owner tore down a similarly neglected Federation home on a corner block several years ago and after negotiation agreed to shape his new home in a style emulating that of a Federation house. Will the new developer be just as sympathetic, considering he proposes to build not one but three townhouses and has obviously bought the block to turn a profit? That remains to be seen. What we do know is that the original house should have been protected from redevelopment in the first place, for a number of reasons. First and foremostly it was a heritage building, a beautiful example of a Federation purpose built corner block, and it showed off many stunning period features that are now simply lost. Secondly, it is located smack bang in the middle of a heritage precinct; its demolition detracts from the heritage value of the streetscape just as propping up three modern townhouses in its place would cheapen the entire surrounds. Whether Rockdale council has officially listed it or not as a heritage precinct is irrelevant, it is a heritage precinct, and certainly one of the best in the area and in fact southern Sydney. Rockdale council, which governs an area containing many fine heritage buildings, that also bond together to form some important heritage streetscapes, does not have any defined heritage precincts in their portfolio, meaning any street in any neighbourhood including the wonderfully embellished Dunmore Street Nth Bexley, is open for business to developers. And don’t they just come rushing, especially when an unloved old building on a corner block like this, overgrown garden, probably a deceased estate, comes up for grabs. It doesn’t take much to look and see pure dollar value on this kind of investment; buy one, build three, triple your bottom line without too much effort exerted. And why wouldn’t they, more often than not they aren’t connected or affiliated to the particular area in question, they don’t walk around the streets and peruse the heritage quality of the neighbourhood or do the necessary groundwork to find out if their investment decision will have a negative impact on the area in which they have just bought – that’s the council’s job… And because they either refuse or can’t be bothered doing the research and making the decisions that will keep our heritage assets from falling, then it remains open season for developers, and houses like this will fall time and time again, only to be replaced with cheaply built office-like boxes overcrowded onto tiny blocks that do nothing at all to better the area they represent in any way, but return maximum profit to the said developer, who by now, is probably driving his brand new Merc AMG home to his concrete Mcmansion in a leafy suburb far, far away. Meanwhile residents of Dunmore Street Nth, Bexley, are left to scratch their heads and gather together with placards saying “Developers not welcome here” wondering when did their beautiful heritage street that they have invested hard earned savings into start to go so horribly wrong. Unfortunately for the residents, who rightly claim some sort of ‘ownership’ to their street and their community are slightly off the mark this time – Developers ARE welcome here, they have been welcomed by council, they have been welcomed by the state government, in fact they are more than welcome, they are encouraged to build these sorts of over-sized monstrosities with heritage destruction as a by-product. The councils, the state government, they don’t really care about your heritage houses, your heritage shopfronts, your suburbs and your precincts – these are only in the way of more development. If they did, unlike in Rockdale Council’s case, they would have allocated neighbourhoods like Dunmore Street Nth Bexley a dedicated heritage precinct many years ago. But they didn’t, and so, as always, developers are welcome. A Federation Diamond in The Rough stood here. Of solid construction and intricate detailing, this should never have been allowed to be knocked down for profiteering. At least in the case of 26 Dunmore Street Nth Bexley, residents should have been given a chance to be informed about the demolition prior and as a result make submissions to the proposals. 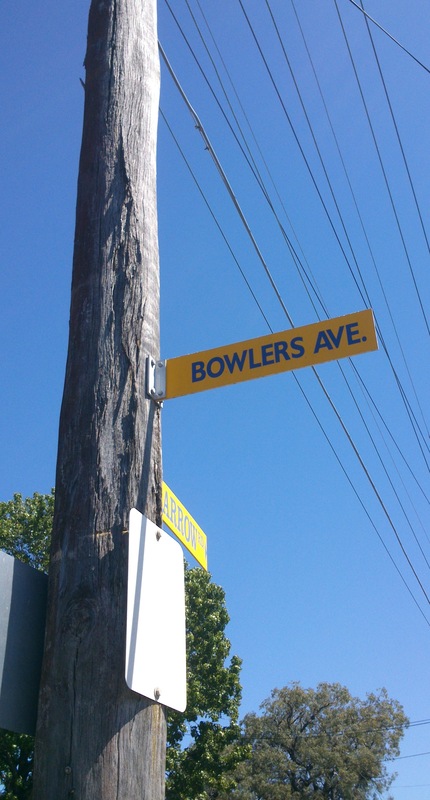 Under planning laws to be introduced soon by Premier Barry O’Farrell and (Bad) Planning Minister Brad Hazzard, even this simple right would be wiped away from neighbours. The first thing they would know or see would be the dreaded “fence of doom” go up by which stage, as we know, it is all too late. This is what we have to look forward to in this state once these reforms are pushed through… it makes no difference if the house is an ugly shack or a Federation diamond, if there is no heritage listing, it is fair game. And the fact that private certifiers are on the increase means council will have even less input and developers will have an easier and quicker path to get their foot in the door, or, perhaps more to the point, knock the door over. 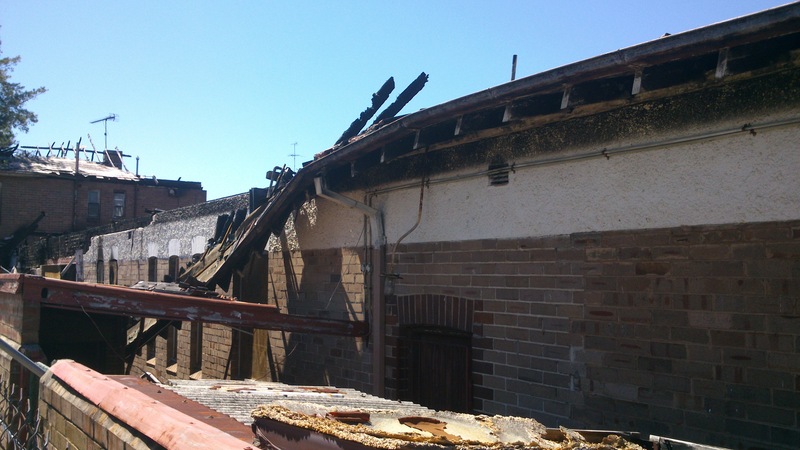 The services of a private certifier were indeed utilised in the decision to allow demolition of this house. Almost within the blink of an eye the house was sold at auction and bulldozed without residents input. Remembering the response I received from council when I questioned the possibility of demolition immediately after the sale, it read “Any development application lodged to either demolish the building or undertake alterations and additions to the building would consider what impact such has on the nearby heritage items, with specific matters for consideration included in both Rockdale Local Environmental Plan 2011 and Rockdale Development Control Plan 2011…” In this case I don’t believe the private certifier has duly considered the impact of demolition on the nearby heritage items… Have they consulted with residents at any point? If not I believe residents would have a right to deem the legality of the demolition highly questionable. Such is the future of planning in NSW under the state government’s exempt and complying development code, and White Paper reforms which are still being pushed through despite strong disapproval state-wide from many stakeholders. Welcome to the brave new world of planning in NSW, where heritage is seen as nothing more than something that ‘gets in the way’ of new development, and developers are clearly ‘welcome’ at every corner. This is what remains. Very few trees were spared on the block too. Just sold around the corner on Forest Road. Will this house share the same fate? Just sold on the corner of Dunmore St Nth and Forest Rd. Another fine example of a Federation corner block. 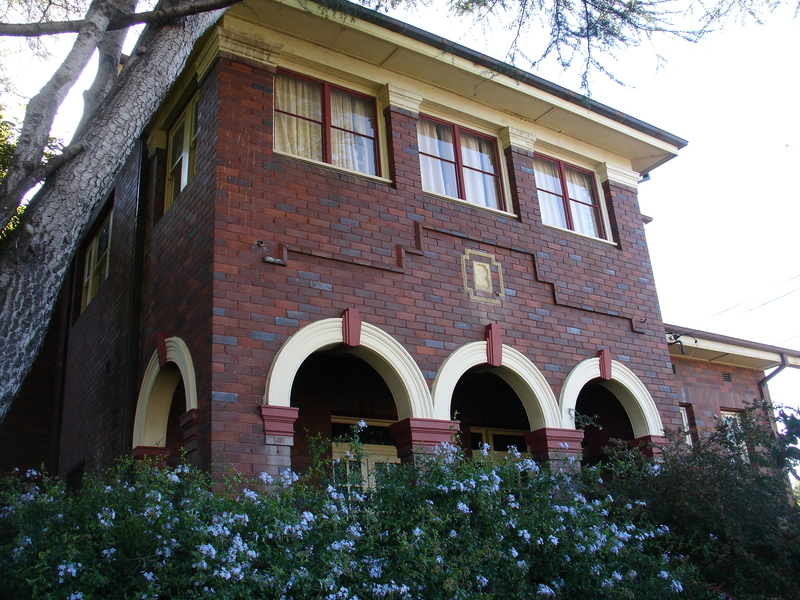 Inheritance Society has written to Rockdale Council with a submission against any new modern-looking development on site, while questioning how demolition was allowed when it so clearly impacted nearby heritage items, and also requested Rockdale Council to consider Dunmore Street and surrounds as its first official heritage listed precinct. Title image by Chris Lane, The Leader. No.47 Connells Point Rd South Hurstville, the old doctor’s house, was reduced to a pile of rubble on Thursday 6th June… I know of a few people who will have broken hearts over this, myself included, my condolences go to them. This is where I started my blog, because of this house. 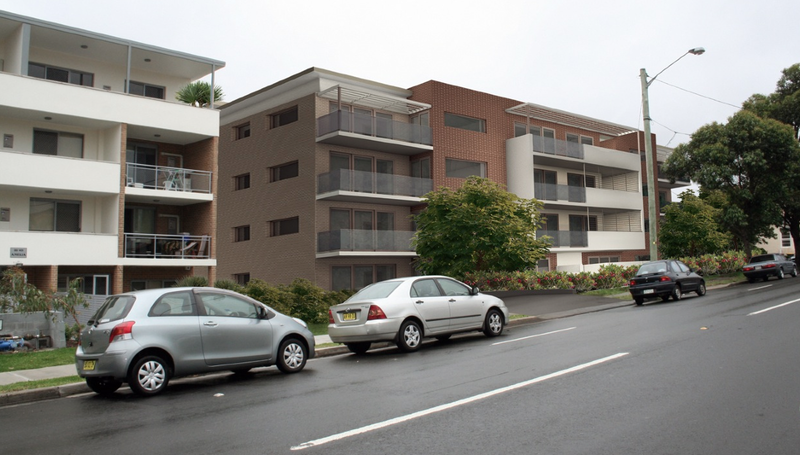 The previous long term owner had sold to a developer and been granted permission to build units on the site by Kogarah Council as part of the sale requirement. Unfortunately they had evaded heritage listing on the property over the years with the preferred intention of future capital return. Well they got their wish, but where the laws allow it, as in this case, property owners will always try to maximize the value of their investment, and by allowing the wholesale destruction of buildings such as this – true heritage assets – just because they have escaped listing, we set ourselves on a path of total heritage desecration, a point from which there is no return. The sad thing is that there was enough land at the rear of the house to excavate and build three or four units, and that, combined with the house in its current form or redesigning as twin lodgings or a doctor’s surgery would have netted the owner a not unhealthy result financially. There was room for compromise. Mention must be made of the concerted effort by a small group of residents who tried against the odds to save this house; Robyn, Leesha, Peter, Jane and family. 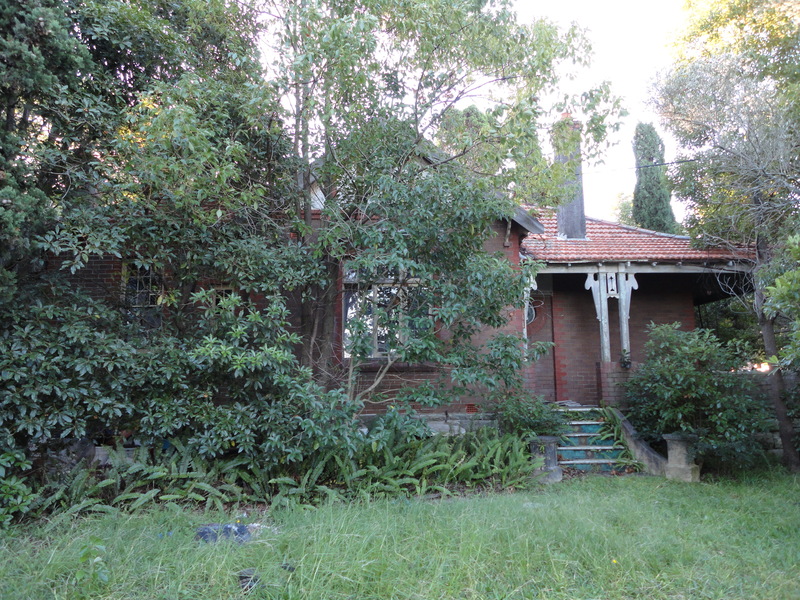 Kogarah council turned a blind eye to its own local heritage and offered no support – I can recall a certain councillor, now local MP, who sniped at a campaigner something along the lines of “do you own the house? If not then why do you care?”… This political ignorance is why we are losing buildings such as this. David McCowen of Fairfax Media who was a local reporter at the time helped cover the story to a detailed level and thanks must go to him and the Leader. It was noted by passers-by that trees were supposed to be retained, but have all been removed. Also, the stunning art deco lead light motif windows were not even removed from the house to be saved, apparently due to the costs of removal vs resale. Despite the bulldozer making light work of it, the quality of the workmanship of the building and its materials was evident. Enlarge the image below and take a minute to reflect on how beautiful and perfectly proportioned this house was. The facade with its three coloured arches, the texture and glazing of the brickwork, the three window frames above, the generous eaves; there’s a hint of classicism to it that works so well… there’s something very European about it. No longer there. A rare purpose built doctor’s house and surgery. Even the stunning period windows were left to fall. It was noted by a passer-by that the trees were apparently supposed to be retained. This was a purpose designed doctor’s house and surgery, in the Art Deco style, built 1929-1933 by the young Dr Frank James Howell with his parents, Norman and Louisa Howell on a plot of land from the railway estate period of Hurstville, where land was being opened up along the Illawarra line. 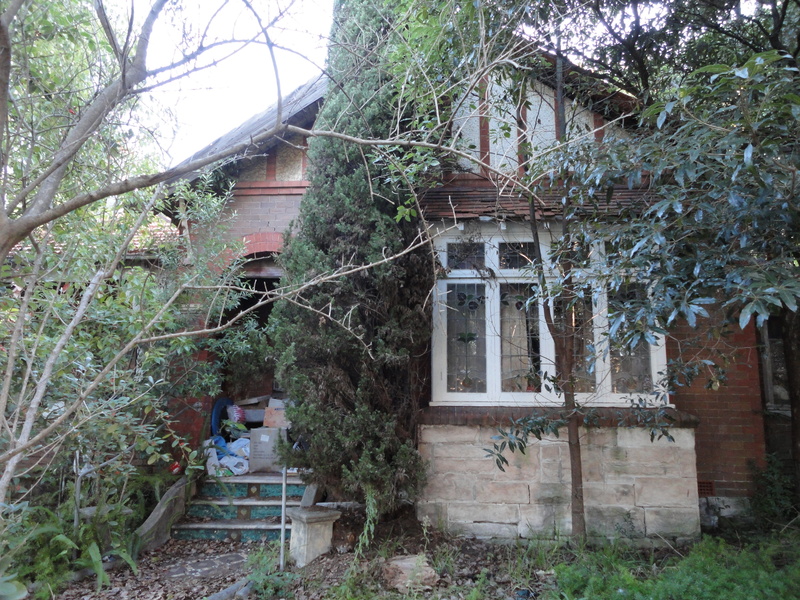 It is futile now to go over the blame game, but I can recall Kogarah Council at the time claiming the house was not located in an area of heritage value. One walk up and down the surrounding streets outweighs that theory. If this is not a heritage-rich precinct I don’t know what is… I took a quick stroll and have attached a gallery of houses all within a five or ten minute walk of No.47; many are older than this house in vintage, but not as rare. Unfortunately this great Art Deco masterpiece will no longer be part of that streetscape. For the original post, click here. A fine Federation. Units have actually been built onto this block, yet the house was saved. This may be a nice home inside but does it fit the streetscape? Unfortunately, the streetscape may soon fit it. The young Dr Frank James Howell with his parents, Norman and Louisa Howell, built their family home from 1929-1933-as a purpose built residence and combined doctor’s surgery. Dr Howells’ grandfather John Howell left behind his wife, eldest son and two daughters in Lancashire, and with his son Norman came to Australia in search of employment in 1884. It was almost a decade later before the family could reunite in 1893. Norman Howell gained employment with NSW Railways at the Everleigh branch, where he remained until his retirement in 1929 as ‘Principal Bookkeeper of the Locomotive Branch’. Norman Howell married Louisa Norton in 1900, whose ancestry can be traced almost exclusively to convict beginnings, as early as the Second Fleet. Louisa’s family lived in the Canterbury area and the Howell’s two sons were born in Haldon Street Lakemba, Frank James in 1901 and Edwin John in 1910. Frank Howell attended the Burwood Superior School and obtained a scholarship to Sydney Boys High School in 1915, allowing him free education and textbooks for 3 years. He completed a degree in Medicine (Master of Surgery) at Sydney University in 1924. 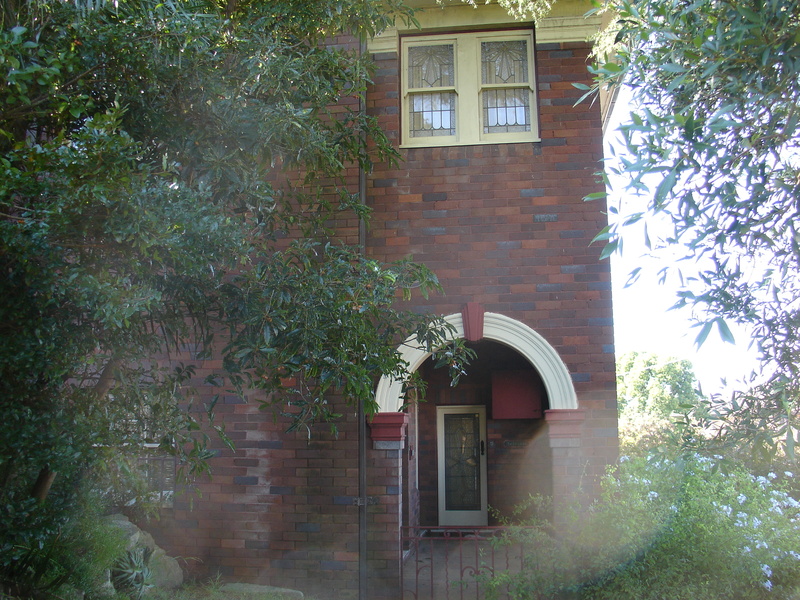 Dr Howell’s university classmate was Dr John Saxon Crakanthorp, whose 1929 purpose built two-storey home and surgery in the ‘Tudor’ style, at 14 MacMahon Street, Hurstville, was listed as a Schedule 2 Heritage Item in Hurstville Local Environmental Plan 1994. Purchased by Hurstville City Council in 1978, this landmark property re-opened in 2004 as Hurstville City’s Museum and Gallery. After graduating, Dr Howell worked for another doctor in the small town of Kurri Kurri, NSW, before starting his own practice in South Hurstville. Set amongst older houses, he bought the remaining vacant allotments upon the highest end of a ridge, 47-49 Connells Point Road, in 1929 from Rosa Trickett. With his parents and brother Edwin, he rented the house opposite at number 24, all leaving to enter their new family home when it was completed in 1933. Living alongside their own surgery enabled a doctor to provide after-hours emergency care to patients and the community. Set among older single storey houses, this house was built to mould sympathetically onto the hillside rather than gouge it out. To maintain the streetscape, the building is sited on the two levels of the blocks, only the front half being of two storeys. Part of the setting, was the creation of a public park, to the west side of the house; the building is entirely visible and integrated with both the public park and the pedestrian thoroughfare to access Derwent Street. The private home entrance is accessed from the pedestrian stairs at the side, or from Derwent Street. Left to care for his mother in their home after his father’s death in 1946, Dr Howell employed a cook and a housekeeper during the day while he was working. His brother Edwin married in 1949 and with his own family, continued to live with them to care for their mother in the evenings. In a time before locums or medical centres, General Practice was a demanding occupation. The family recall the phone ringing almost every night as patients sought attention and the surgery hours extended very late. Whist visiting a patient on the 22nd December 1956, Dr Howell suffered a massive heart attack, and unable to receive emergency aid, he died that day aged 58 years. Dr Howell worked as a General Practitioner for almost 30 years and was well respected; his funeral cortege proceeded down King Georges Road with small groups assembled on the side of the road to pay their respects. Other doctors in the area were few at the time; they included Dr Lee, Dr Crakanthorp and Dr Jackson. For the home and surgery to continue its service to the community, the Howell family sold their estate to Dr Pearson and his young family in 1959. Dr Barry Pearson OAM raised his children and maintained his practise for 20 years at 47 Connells Point Road until forced sale in 1982. The home and surgery was purchased and was used as a private residence for the past 30 years. There have only been 3 owners in its 83 years. There is a renowned heritage street in Bexley that holds many a fine residence… Victorian, Federation, Bungalow, Art Deco… a walk down Dunmore Street North is like stepping back in time. Bookended by classic main street shopfronts and churches up on Forest Road, down to the state heritage listed Seaforth Park at the lower end, the street and suburb it occupies are home to many splendid gardens as well, some immaculately pruned and tended, and some, let’s just say, a little rougher around the edges. Look carefully at the jungle growing on a block at 26 Dunmore Street North. Between the trees and shadows you will find a hidden Federation masterpiece, waiting to be uncovered and have new life breathed back into it, like a dusty Rembrandt sitting unknown at the back of a museum storeroom. This house is ripe for renovation, and in the afternoon light stunning period features still shine and give away a hint of the extravagance waiting to be uncovered and brought back to their timeless beauty by someone with a keen eye for what constitutes smart ‘forward thinking’ real estate value and a worthy investment. Bullseye leadlight windows, turquoise Art Nouveau tiling, patterned brick archways, delicate balcony timber fretwork, this house has all the wonderful features of the period. Federation homes were exceptional in their level of embellishment, quality of workmanship and attention to detail, as well as giving us our own national style of architecture; those on corner blocks were even more impressive as they were always built to suit the site, facing two directions to greet the outside world and often taking advantage of winter sun flooding through bay windows, while maintaining an air of coolness in summer with deep and richly decorated porches. *Family orientated area, with excellent schools, transportation, and ease of access to Bexley shopping village. A few years ago a corner parcel came up for sale with a similar unloved Federation home at the bottom of the street. What happened next was a little strange. Residents at the time were concerned for the streetscape and lobbied for the new owners to retain the house. It didn’t stand for long, and was levelled and replaced by a large gaudy modern home ‘in the Federation style’, complete with sandstone foundations and stained glass. Why anyone would demolish a Federation house to build a Faux-Federation I don’t know but the trend has spread next door to where an almost identical building has sprung up.